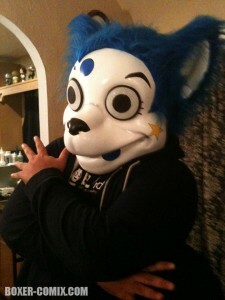 I have been looking for a MouseKat replica mask. Where did you get this? It’s the real mask, we were working on NaNaNa when this was taken. Warmup Sketch: Razor from Maniac Mansion!